Today, Noreen Sumra, intrepid chair of Westminster Befriend a Family, went above (literally!) and beyond the call of duty. 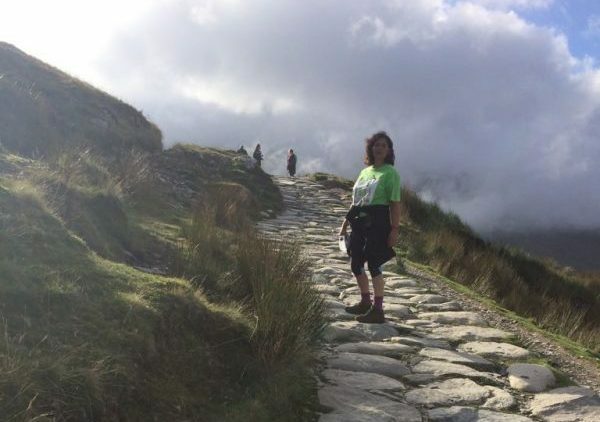 She spent her Wednesday in Snowdonia hiking up the highest mountain in Wales, Mount Snowdon. 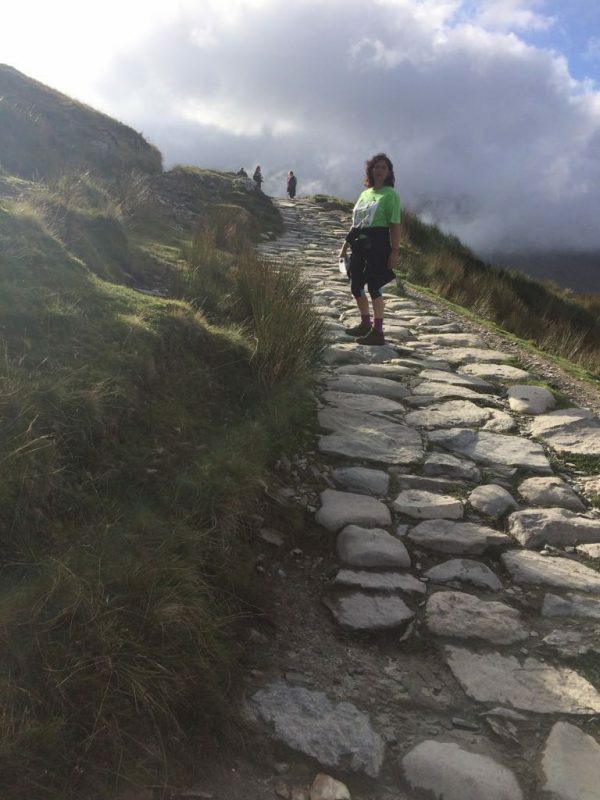 After a gruelling training programme, Noreen’s efforts paid off as she made it up to the summit much quicker than her target time. 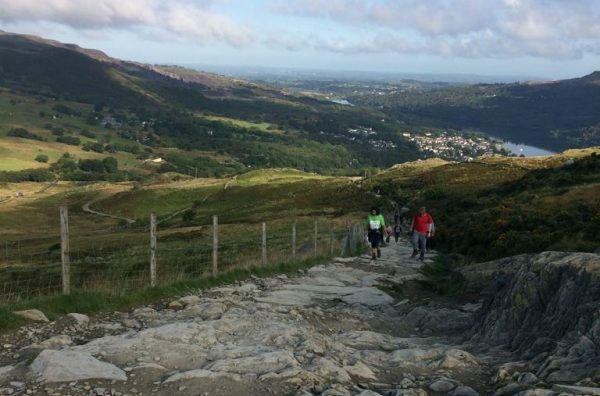 For someone who claimed to be seriously not fit and found her training climbs ‘a hard slog’, Noreen made the climb look like a breeze. She had aimed to get to the top, weather permitting, in three hours. 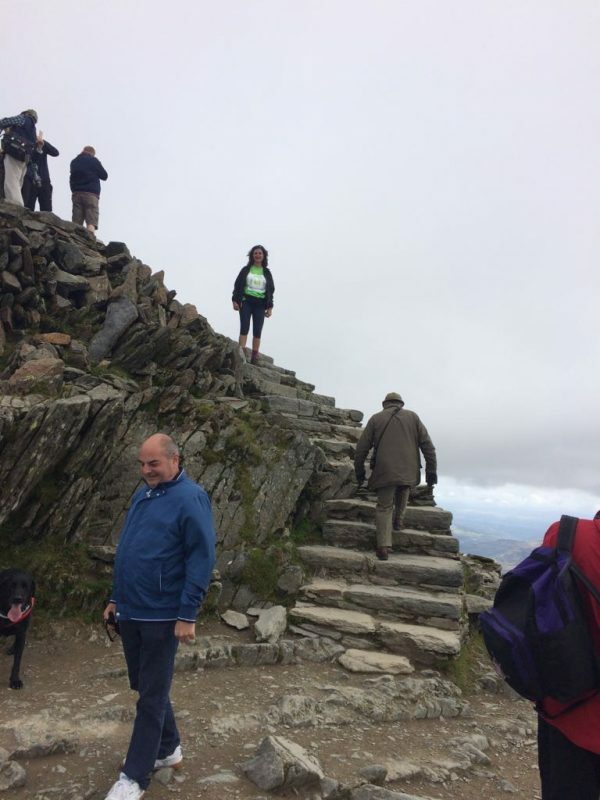 Enjoying the views as she went, she smashed her target, reaching the summit in a mere two hours and fifteen minutes! 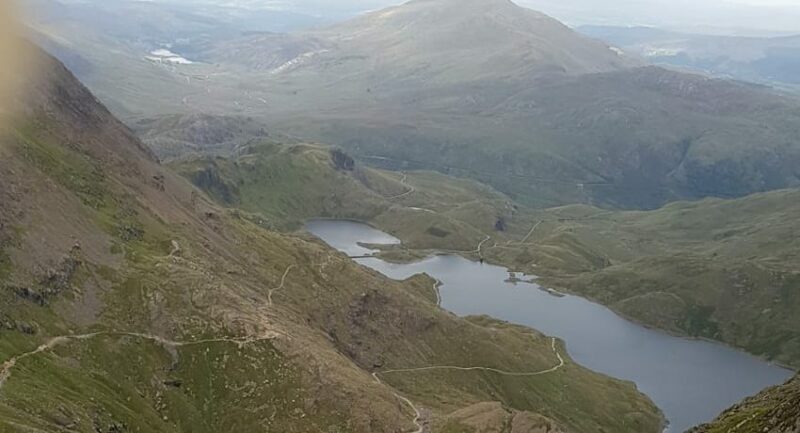 Mount Snowdon is the highest mountain in Wales at 1085 metres above sea level. As you can see from the pictures, there’s a good reason why it’s the third most visited attraction in Wales. The mountain itself is volcanic in its origins, produced in the Ordovician Period. It has been shaped over the centuries by glaciation, forming into a pyramidal peak. There’s a railway that’ll take you to the top. Note to our chair – it’s easier by train! I am absolutely amazed, and not a little bit hyped, about successfully completing my ascent in 2 hours and 15 minutes. I had set myself a target of doing it in 3 hours because I am seriously not fit and based on times achieved by friends. It was an almost spiritual few hours. So many climbers had told me that “the mountain needs to be respected” almost as if it’s a living thing. You see what they mean when you get to the summit. 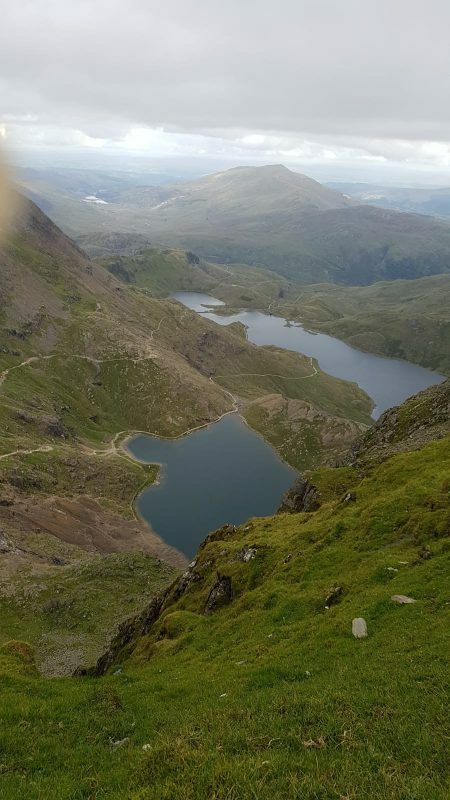 I would recommend the climb to everyone for the peace and solitude you feel on the way up (despite the panting) and the sense of achievement on the way down. Thank you to all my supporters and donors. You did a good thing and I feel great not to have let you down. 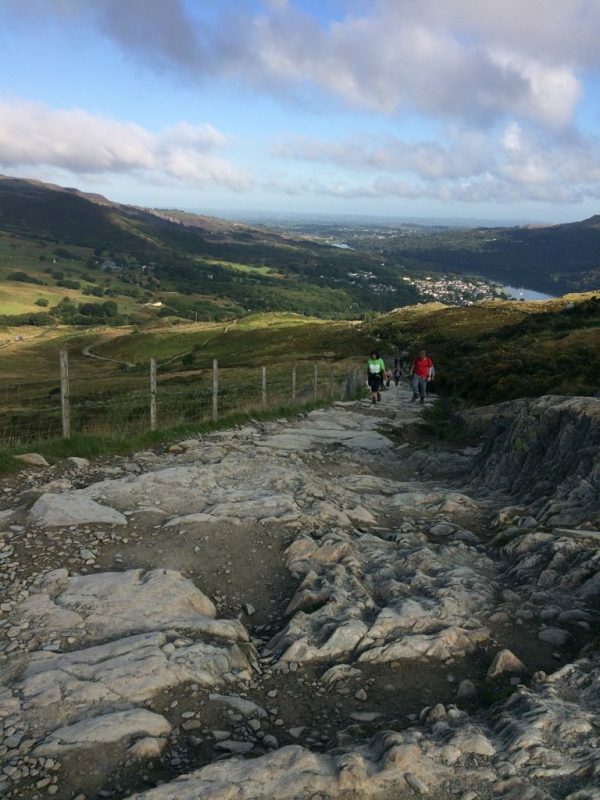 You can catch up with Noreen’s other posts on her Snowdon Climb page. If you’ve been inspired by Noreen’s story and would like to support Westminster Befriend a Family, we’d LOVE to hear about your fundraising ideas. If you’re not up for mountain climbing, you can make a donation to our amazing charity by hitting the DONATE button.